Dawson and a friend at Old Navy. We just happened to run into Seth, his mom, and new baby brother while at Old Navy the other day. 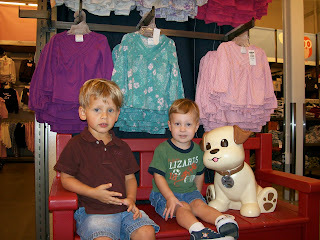 Both boys loved the Old Navy dog - there was a button you could push to hear the dog say all kinds of things.